When the Chicago Blackhawks host the Columbus Blue Jackets at the United Center on Saturday night, fans will be able to support more than just their favorite hockey team. Hockey Fights Cancer is a joint initiative by the National Hockey League and the National Hockey League Players’ Association to raise money and awareness for hockey’s most important fight. Since its founding in December 1998, more than $12 million has been raised to support national and local cancer research institutions, children’s hospitals, player charities and local cancer organizations. During the Saturday night’s game, the Blackhawks Better Halves will be selling pucks signed by current and former Hawks players on the 100 level concourse. Proceeds from the puck sales will go to the Vera Bradley Foundation, while portions of the proceeds from a silent auction and “Split the Pot” will benefit Gilda’s Club Chicago. Also, The Bear Necessities Pediatric Cancer Foundation and the Melanoma Research Foundation will both receive checks for $2,500 from the NHL’s Hockey Fights Cancer Grant. Before the game begins, Lawson Frank, a 13-year-old from Geneva, IL, who is battling Rhabdomyosarcoma, will drop the ceremonial puck. Tickets for the game can be purchased through Blackhawks.com. 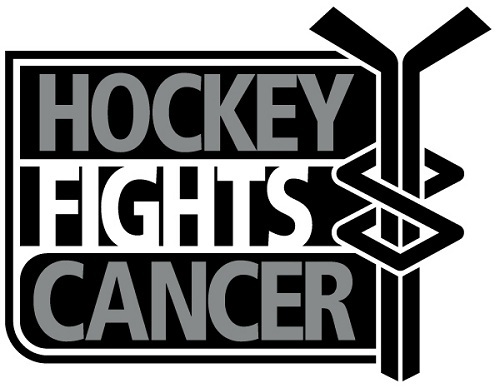 For more information about Hockey Fights Cancer, click here. On Wednesday, what would have been an off-day for the Hawks will also be highlighted by charitable interests. Duncan Keith, the Hawks’ 2010 Norris Trophy winner and 2010 Olympic gold medalist, and his wife Kelly-Rae officially launched Keith Relief. Their new charity will be dedicated to alleviating the financial and emotional burdens of families and individuals suffering from medical crisis, and will assist families in and around the Chicagoland area. For more information about Keith Relief, check out their website. This entry was posted in Sports and tagged chicago, Chicago Blackhawks, duncan keith, hockey, NHL. Bookmark the permalink.